Did you know that heating and cooling of your home accounts for half of the energy costs that is incurred by a household? Hence, there should be ways with which you will be able to reduce the energy cost of your home on a monthly basis. 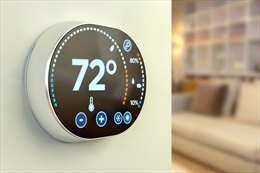 A smart thermostat is an effective way to save on your monthly utility bills. The best thing about smart thermostats is that along with offering automation they also offer greater control over your home’s temperature which in turn aids you to save on your monthly energy bills. However, smart thermostats have a lot of other benefits associated with it along with temperature automation of your home. Thus, let us have a look at some of the prominent benefits of using a smart thermostat for your home. First of all, the most interesting feature of a smart thermostat is that it is able to learn your habits, preferences, schedule, and can also tell you whether you are at home or you are away. Initially you might have to use a smart thermostat just like a manual thermostat but with time the thermostat will learn about your preferences and the desired temperature and will start adjusting accordingly. With a smart thermostat you can easily control the temperature requirement of your home. For example, if you are still in bed and feel that it was a little warmer then you can simply use your mobile device to do so. The main objective of smart thermostats is to make your life easier and so it has features which will add to the convenience of one’s life. Some of the useful features of a smart thermostat include maintenance reminder, energy consumption monitor, and dirty filter detection. With the presence of all these features you need not worry much about the overall maintenance of your HVAC unit. A smart thermostat also gives you email alerts. Whenever the temperature of your home falls or rises outside the pre-determined temperature setting, immediately you are notified of that situation through an email. At the same time, even if the thermostat is disconnected due to a power outage or some other reason, you are notified of the same through an email. One of the most important benefits of a smart thermostat is that it encourages an energy saving behavior among users. They have such settings which will be both energy saving and comfortable at the same time. 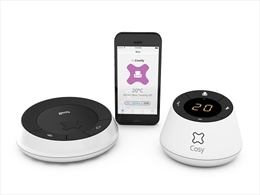 There are several temperature settings from which you can choose the one that suits your need perfectly. There are some smart thermostats which allow you to analyze your monthly energy usage. You can do so with an easy to read monthly report. This is helpful because once you analyze the energy usage you will be able to control your behavior accordingly. It can be concluded saying that there are several options when it comes to smart thermostats, but you need to do adequate research when it comes to choosing the right one. However, before you start using a smart thermostat it is a better idea to go through the manufacturer’s manual thoroughly.